We are currently working on proposals for the extension of a detached house with a contemporary design in Twickenham, south-west London. The rear of the house is to be extended under permitted development, to create a modern clean extension containing a new kitchen and living space. 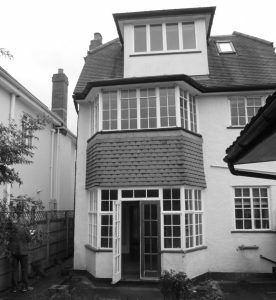 There will also be alterations at first and upper levels to the windows to tie it all together, as well as internal reconfigurations to create a modern family home. 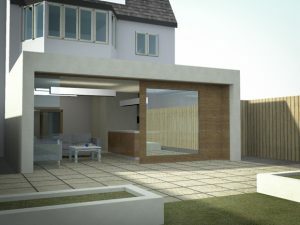 At the rear of the garden, a summer house with home-office space and garden storage, will reflect the style of the main extension in form, materials and the design of the glazing. Work is due to start on site September 2012. 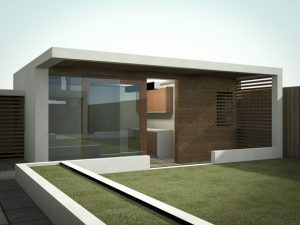 Update: you can see the finished contemporary design by clicking here.